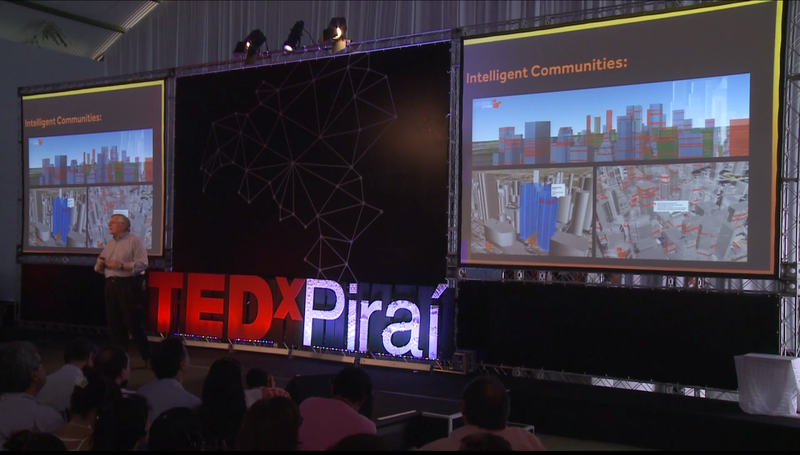 Cube Cities is pleased to have our city data visualizations featured by John Jung, Co-Founder of the Intelligent Community Forum in his recent TEDx presentation in Piraí, Brazil. In his presentation, John discusses the state of the smart cities movement around the world and the implications for society. Cube Cities visualizations of building data in Lower Manhattan and downtown Calgary are used to explain the emergence of intelligent communities. Watch John's presentation here.